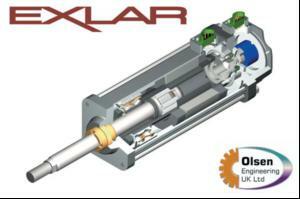 According to Olsen Engineering, roller screw actuators are winning market share from ball screw, pneumatic and hydraulic actuators because they offer benefits in terms of life, accuracy, robustness, load capacity and compactness. Olsen Engineering's roller screw servo linear actuators are said to take up much less space for a given load rating and provide up to 15 x travel life. The new Tritex II series of servo linear actuators incorporates a brushless servo motor, servo amplifier and position controller in a single industrial grade enclosure. Simply connect 1 phase 240V and give a control signal.